In late 2017, we initiated a whole new era in our business. A new network of LCD screens was installed and we stepped into a world of digital products which offer impressive moving pictures and allow advertisers to animate their audience directly in a creative way. These technologically perfect screens, the kind of which are present in only a handful of European cities, are HD, 84-inch screens and are positioned in central locations in Belgrade's pedestrian zone. The ad content can be displayed as a static image or a 10-second video, explains Sanja Pesic, the CEO of Alma Quattro. 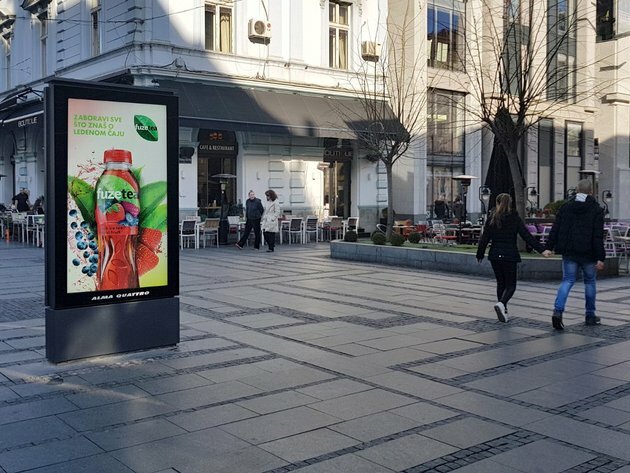 As she says in her interview with eKapija, the vision of one of the leading companies in the field of outdoor advertising in Serbia is “to make the environment better and more successful”, and their business model enables them to understand the needs of the public and to implement innovative ideas. Their efforts were recently awarded with the Superbrands Serbia acknowledgment. – In a physical environment, outdoor advertising entails active creation and shifting of visual content, transforming the appearance of cities and places. This enables other brands to implement various creative ideas, using modern IT technologies, in an environment where consumers can interact with brands directly – Sanja Pesic points out. eKapija: How present are new technologies in your operations? Where are they reflected the most – in the type of billboards and displays, in the preparation, in interactive and multimedia content? 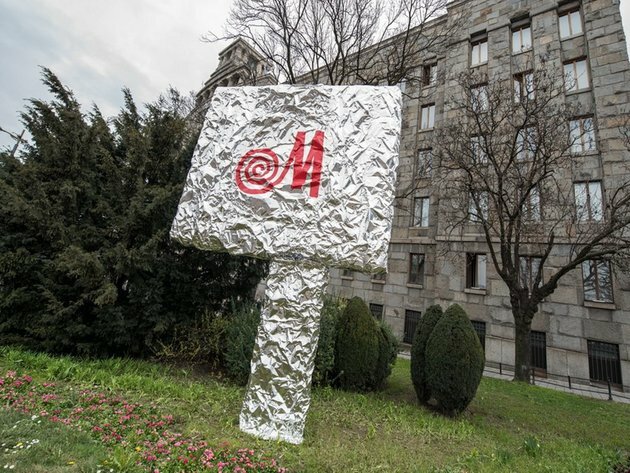 – We have opted for an innovative approach to outdoor advertising. Under a public-private partnership with the Belgrade city services, we plan, design and maintain modern street furniture, such as bus stops with live touch panels and info-maps of the city, which are meant primarily for tourists, but also for all citizens, and which are a public good. eKapija: When did you start maintaining bus stops in Belgrade? What else do you have in your portfolio, in addition to advertising? – As part of the regular reconstruction of the existing bus stops in downtown Belgrade, we have replaced old ones with new generation bus stops. The so-called live touch panels, that is, 32-inch digital screens sensitive to touch are an integral part of them. We took care for the panels to be accessible to persons with disabilities as well, and all the apps are available in both Serbian and English. Citizens of Belgrade and their guests have thereby been enabled to learn what the current weather is like and what the forecast is for the upcoming days, to view photographs and maps of Belgrade's highlights with explanations and directions to the desired destination, whereas Belgrade Info is an adapted version of the website of the Tourism Organization of Belgrade. In 2017, Alma Quattro installed four universally accessible public toilets in Belgrade, designed, produced and tested in France using European standards. JCDecaux is the producer, and all the toilets are equipped with automatic hand-washing systems, soap and dryers and are free to use. eKapija: What is the main advantage of outdoor advertising compared to other types of marketing? Which outdoor models have proven to be the most efficient? – The society is becoming more and more mobile and everybody is spending less time at home. The popularity of outdoor advertising, currently the most effective form of advertising in the public space, is growing year after year. Why? Because you can't avoid or ignore it. It is there 24 hours a day and is an important factor in the communications strategy of any brand. Alma Quattro offers the full service of leasing ad space, which includes the organization of poster printing using special technical directions for each type of medium. Our network consists of billboards, city furniture, LCD digital media and large formats, and each type has a unique effect, in line with its specific characteristics, such as the appearance, the format, or the position. All panels within the Alma Quattro network have defined GPS coordinates. These data allow for media planning, which takes into consideration geographic targeting in line with the company's communication goals. For the needs of an integrated marketing approach, all types of media can also be combined successfully, which increases the visibility of the campaign and makes for a more efficient communication with all segments of the population. eKapija: How many people are employed at your company? Are you planning new employments? – Alma Quattro currently has 54 employees. Most of them have been with us from the start, and since we always plan in the long term, we do so with employments as well. eKapija: How would you rate the business results in the past period? – The year 2017 was more than successful for us as a media provider. We exceeded our own plans by 4%, realized good business and strategic cooperation with important partners, worked on modernization and shared experience and knowledge with our colleagues worldwide. The end of the year marked the entrance to the digital media sphere, which, for us, is a very important step, made at the right moment. As an acknowledgment of our successful operations in the previous three years, we received the Gold Creditworthiness Rating Excellence Certificate AAA by Bisnode, which confirms that we are a financially stable company. In business terms, this meant that we are a good partner, that we are solvent and that companies, banks and individuals, as well as employees, can rely on us. However, this is only one aspect of our success and existence. eKapija: What are the company's plans for the upcoming period? – The global trend is to create content and promote innovations and not just to sell ad space. Most international brands present in Serbia have access to their global solutions and tools, and clients are therefore well educated when it comes to new trends and the usage of new technologies in the marketing communication. We are working on upgrading our media technologically in terms of materials, lighting and maintenance. We are implementing new, modern platforms, but they will not fully replace traditional billboards for a long while. We are thinking about making certain steps forward when it comes to the interactivity of the medium, which is enabled by the ever faster digitalization. What's current is the latest measuring of the visibility of our medium and a survey of habits and movements, and all results will be integrated in our unique system of measuring the effects of OOH campaigns – OMEX, which we've been using for three years now.